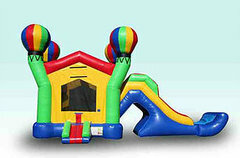 Bounce House & Party Rentals | FiveAlarmFun.com Shenandoah Valley VA. 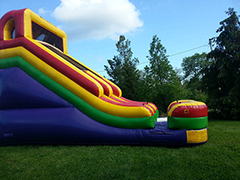 Your premier inflatable rental company! Welcome to Five Alarm Fun! Five Alarm Fun is family owned and operated business. We service the Northern Shenandoah Valley and parts of West Virginia. We pride ourselves in outstanding customer service. Which means, you, our customer, are our top priority. 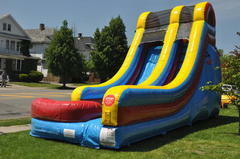 We are licensed and insured, therefore, by renting an inflatable from us, you can rent with confidence. 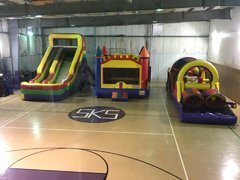 You will receive your moonbounce rental in top notch condition, it will arrive clean and on-time, and our delivery personnel will always be professional, courteous and friendly. 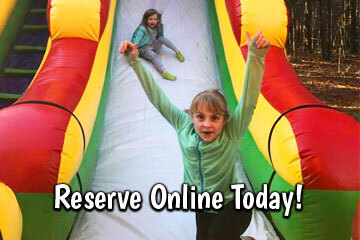 Making your party and event reservations at FiveAlarmFun.com is fast and easy with our new online reservations system. Just click the link below and enter the date and times of your event. Then as you browse through the website you will be presented with only those items available on your date. You can also just explore all the categories and as you see items that are perfect for your party, just click the "Add to Cart" button on every product page, and build your party that way. That's it! It's easy as one, two, three! Let's get your party started now! Deliver to my locationy to all major cities in this area: Winchester, Stephens City, Middletown, Berryville, Purcellville, Round Hill, Front Royal, Linden, Strasburg, Woodstock, Edinburg, Mount Jackson, Luray, Gore, Cross Junction, Stephenson, Clear Brook, White Post, Boyce, Middleburg, Capon Bridge, Augusta, Baker, Romney, Slanesville, Bunker Hill, Inwood, Rippon, Charles Town, Kearneysville, Martinsburg, Fort Valley & More.